The Best Paintball Guns in 2017! This post will never be old! Whenever a new paintball gun comes out we will update this post with the latest paintball gun info. One of the most common questions new paintball players has is, “What is the best paintball gun”; in this article we will hope to answer that. Picking a new or first paintball gun or marker (gun and marker are synonyms, or at least the mean the same thing when we talk paintball) can be complicated and difficult; it’s one of the biggest purchase you can make as a paintball player and it can easily be four times the entire rest of your setup! A lot can go into deciding what gun to buy and which would fit your playing style. Do you like to play quick fast paced speedball games or are you more of a woodsball and mil-sim style player? We typically like to lump all guns into three categories, entry level, mil-sim and tournament level. 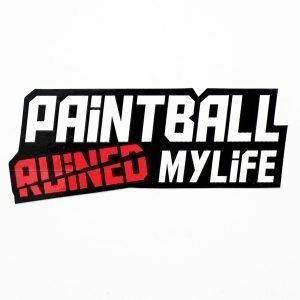 Some of these categories can overlap a bit, but for the most part it is a good way of placing paintball markers in sections. Picking a style of paintball gun make the buying decision a bit easier. Entry level guns are just that, entry level. Entry level guns are made to be very reliable and simple. Many of the entry style guns have very few o-rings and a very easy to work on. Mil-sim paintball guns are guns that don’t have the normal look of a gun but try to replicate real looking firearms. Some of them may fall into the entry level category and mil-sim space ,much like the US Army Alpha Black. The Alpha Black it is a simple and reliable gun but also has that real look. It’s important to note that these guns technically aren’t better, than a normal gun they just look cool! Tournament paintball markers are the cream of the crop. They are light weight, quite, kick very little and they have a much higher rate of fire. While they may work better, they are not always the best option. Higher end paintball guns tend to be more complicated, have more o-rings are a more difficult to maintain. Below is an accumulation, of some of the best paintball guns for their given category. Entry level paintball guns are going to be primarily used by new players, people playing a few times a year or someone that is one a budget. They are priced well and start at just $60 and can reach the $200 price. For the most part all entry level paintball guns should be very reliable, affordable, simple and low maintenance. They are the paintball gun you buy if you just want it to work every time no matter what. Below is a list of what we think are some of the best entry level guns on the market. 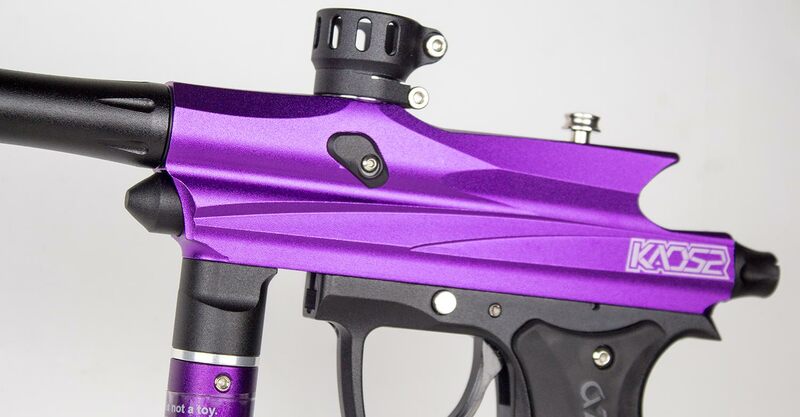 Spyder for the past 20 years has been one of paintball’s most recognizable brands. You can’t go wrong with a Spyder. The Spyder Victor is a reliable and very affordable paintball marker. The Victor comes with a composite trigger frame and feedneck, making it not as durable as other markers in our list like the Tippmann 98. It does however comes with stainless steel braided hose. The Azodin Kaos II can be seen as a Spyder knockoff but, we like to think of it has a better version of the Spyder. The Kaos comes with a twist-lock feedback and vertical for grip unlike the Spyder Victor. The locking feedneck makes removing and replacing the hopper very quick and easy. Unlike some Spyder’s the Kaos comes with an upgraded valve, making it much more air efficient valve system allowing you to get more shots for your air tank. Unlike some of it competitors the Kaos II also comes in a wide variety of colors. The Tippmann 98 is the workhorse of the paintball industry, most paintball fields use the 98 as part of their rental fleet and they are many peoples first paintball guns. Both paintball fields and players love them for their down right simplicity, durability and readability. Quick simply the Tippmann 98 is the most popular paintball gun ever made. The Tippmann 98 is made of complete aluminum constructing, making it super durable and dependable. The Azodin Blitz III can be see at the big brother of the Azodin Kaos. the Blitz and the Kaos are very similar, apart from one major difference the Blitz is electronic. The Electronics in the Blitz allow for very high rates of fire and other firing modes like full-auto and 3 round burst. The Blitz III just like the Kaos comes with the very handy twist-lock feedneck. Perhaps the best out of all the Tippmann paintball markers is the Tippmann A5. The Tippmann A5 has a very design to the Tippmann 98, meaning it will shoot very mush the same. The Tippmann A5 does have one large advantage over the 98 though, the Cyclone feeder. The Cyclone feeder ensures that a paintball is loaded perfect every time, reducing the likely hood of jams or chopped balls. Another advantage the A5 has over its little brother, is the valve is completely rebuildable were is the 98’s is not. The A5 is also designed to be completely field strippable, push to pins out and you can remove most of the internals, push three pins out and you can remove internals and the trigger frame. Tournament level paintball guns are designed for the serious paintball player or for someone that wants the best of the best. Prices can range a lot–from $250 up to $1800. They are the best of the best, for the most part all the tournament level paintball guns are going to be electronic and low pressure. The electronics aid in higher rates of fire and the lower operating pressure make the guns: kick less, have a smoother shot, have a lower sounds signature and allow them to shoot high-end paintballs. The Proto Rize is perhaps one of the best all round deals on our entire list. It comes in at under $250, is electronic, low pressure, very small and lightweight, making it an excellent choice for the beginner speedball player or anyone looking to take their game to the next level. The low pressure operation of the Rize, helps the Rize be extra quiet and have very little kick. The Etha 2 might possible be the best paintball gun out right now. You can think of the Etha 2 as the less expensive version of the Gtek, and the Gtek as the less expensive version of the Etha 2. The guns are all very simlar, but there is not question they all rock and the Etha 2 is the better valve of them all. Earlier this year the Shocker RSX took the paintball world by storm, everyone wanted to get their hands on one! The Shocker RSX quickly became one of paintball’s most popular paintball markers, it is extremely light, air efficient and has a killer price point. The Shocker RSX also comes with the tried and true Smart Parts Freak Barrel kit, one of the best barrels around. It is nearly half the price of other high-end paintball markers! The Shocker RSX at the new price of $699.95 has to be one of the best values in paintball history. Check out our Shocker RSX review. We love the Gtek 160R, check out our full review on the 160R. The Gtek 160R, is based off the beloved Gtek. The Gtek 160R takes the same great Gamma Core bolt that is found in the Gtek and adds a complete aluminum build and an OLED board. the Gtek 160R is a super reliable mid-range marker, the Gtek’s Gamma Core is known for being extremely reliable and being able to work in virtually any playing condition you throw at it. If you want the best of the best, and money is no option, you buy one of two brand Dye or Planet Eclipse. Right now the M2 has to be one the hottest guns in paintball. After years of players complaints, Dye have finally added an OLED screen! A huge OLED color screen can be found on the side of the trigger frame. Dye also updated the bolt in the M2 making it about 10% more air efficient than previous generations. The Planet Eclipse CS1 is the Ferrari of the paintball world. It is the best of the best. It has more technology packed into in that any other paintball gun. The CS1 is Planet Eclipse’s iteration of the Geo line of paintball guns. Everything is new in the CS1 and it shows. The gun has gotten much larger than the previous Geos, it is longer, wider and heavier. Performance has also grown the CS1 is quicker, quitter, kicks less, more air efficient and is much easier to services. To be blunt the CS1 is the top guns on the planet. 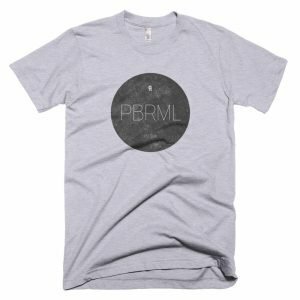 We should probably say that the KPC isn’t actually out yet…look for it in stores early January 2017. The Azodin KPC is with out question one of the best deals in paintball, the KPC packs a lot of features into an affordable package. The KPC will come with all stainless steel pump arms and pump rods, preset inline regulator, clamping feedneck. The KPC is a great gun for someones first pump gun or if you don’t play pump that often. Another awesome Azodin pump! The KP3 can bee seen as the bigger brother of the KPC. The KP3 features dual pump arms, a feature typically only seem on the highest-end pump guns. The dual pump arms make for a super smooth pump stoke making re-cocking super fast and easy. The KP3 also comes with a really nice two-piece barrel, as of now all new KP3s come with two barrel back a .685 and .681. The Kp3 also comes with an on/off ASA, adjustable inline regulator and lever feedneck. The biggest draw back to the KP3 is that it doesn’t come with auto-trigger. Empire Sniper $379.95 Autococker Pop Valve The Empire Sniper is an homage to the good ol’ days of the original WGP Sniper in the 1980’s. The Empire Sniper is based of the extremely popular stacked tubed design. The Empire comes with a lot of the features that the Azodin Kp3 is missing. The Sniper comes with the three piece 14in barrel kit with, .675, .680 and .685 barrel backs, auto-trigger and a hitman lever. The Sniper just like the other guns in its price range comes with an on/off ASA and lever feedneck. The Phantom paintball gun is beloved by players that play stock class. Stock class is a style of pump play that requires the use of 12 gram co2 cartridges and 10 round tubes. Stock class is what all paintball used to be, before the creation of cheaper paintballs and semi-auto paintball guns. While the Phantom is popular with the stock class crowd, it is not limited to stock class. The Phantom comes in 10 different configurations, you can pick a stock class set up or a more traditional style with a hopper and normal tank hook up. The Phantom uses a sheridan valve design which allows it to be very small and lightweight. Quite simply, CCM make some of the best pump guns ever. CCM don’t have a lot of features that make them stand out over other brands, to be honest if you look at a spec sheet it is not any better than the Empire Sniper. To appreciate the CCM T2 and the other CCM guns you have to hold them. CCM rely on superior build quality to separate them from their competition, CCM products are some of the best paintball products ever made. The CCM T2 has an extremely smooth pump stoke, low pressure operation and supreme build quality. The Bob Long MVP is one of the more unique pumps on the market. While a lot of pumps use a similar valve design the MVP went a whole different direction. The MVP uses the same valve/bolt style that can be found in the Bob Long Victory. The MVP runs at a super low 150 PSI, making it have the lowest operating pressure of any pump gun on the market. The MVP also has 12 ball bearing in the pump handle, making it have one of the fastest and smoothest pump strokes. Just like CCM, Bob Long is known for their extremely high build quality, and the MVP doesn’t disappoint. If you are looking for the highest quality pump on the market the MVP is your gun. Mil-Sim style paintball guns are designed to look look more like real firearms. Most of the mil-sim paintball guns have stocks, barrel shrouds and can be either magazine or hopper fed. Mil-sim is for the player that wants the more realistic feel and look. When it comes to affordable mil-sim paintball markers, there are a lot of companies that are making their version of a mil-sim paintball gun. But there are just two companies that battle it out, Tippmann and Battle Tested. The two companies make a combined 12 mil-sim style paintball guns. Out of all of them we like the US Army/Tippmann Alpha Black Elite. The elite uses the same valve at the Tippmann 98 and just look it the thing! If you want an affordable paintball gun that is magazine fed and can use First Strike look no further. The MR6 is amazing! The Spyder MR6 comes with a quad rail on the barrel, allowing you to attach all types of net gadgets. It extremely affordable, can use hopper or magazine, uses first strike, is super reliable, and the magazines are half the price of other manufactures. If Tippmann were to make a Tippmann 98 mag-fed gun the TMC would be it. The TMC is a budget friendly hyper realistic mil-sim magazine fed gun. The TMC is made from cast aluminum and composites, and just like every Tippmann it will be super durable and hold up to abuse. The one downside to the TMC is that it does not take First Strike paintballs like the Spyder MR6 or Tippmann TCR. The Tippmann TCR is the newest paintball gun in our Mil-Sim list but it has bursted onto the scene. the Tippmann TCR is a very small and lightweight tactical gun. The TCR is First Strike ready and can be run from 12gram Co2 cartages or via a built in remote adapter. We like the 12gram route as it makes the setup very lightweight and maneuverable. The coolest of all the Mil-Sim style paintball guns the First Strike T15. The T15 1:1 scale makes it very similar in size to a real AR15 riffles, making it the most realistic of all the Mil-Sim paintball guns. It is First Strike ready out of the box and comes with a 13ci compressed air tank that is built into the stock. The T15 is something that needs to be held to full appreciate, it just feels great! The Dye DAM is by far and away the most expensive magazine fed gun of the market. The DAM use the same internal at the DM13 Dye’s high end tournament gun from 2013. It operates on about half the pressure of there high-end magazine fed paintball guns, making its quitter and kick considerably less. While it does shoot much better do not expect it to be more reliable than the Spyder MR6 or First Strike T15. The choice can be hard! Our overall pick the Planet Eclipse CS1. Check out the feature video made by Planet Eclipse below. Not all the paintball guns on this list are that affordable, check out of list of the cheapest paintball guns in 2016.
how can you leave the enmey out of this list? Ikr, the enemy is literally THE best starting gun out there. Purely mechanical, no batteries, easy maitanince and now that they are coming out with the enemy pro it will also come with a good barrel and on/off ASA. I am a fan! You are very informative and I appreciate you insight and professionalism with the information you present to your followers. I was curious if you would do a review on the Azodin Kaos Dll (Kd2)? I have been interested in the blitz3 and kaos2 but I am getting back into the sport. I played with Archie Montemayer back in the day before he even made his first team, but its been forever and a half and have been taking the men at my church to play lately and they are all addicted ( yes!!). Would like your insight on this marker if you don’t mind taking the time to do so. I wanted a beginner marker but more advanced just the simple beginner I didn’t want to spend to get the 3-500$ markers just yet. To each there own on the CS1 thing but the “most technology” statement doesn’t hold up vs the M2. Which has the better board and every feature that can be thought of.